Cargo vessels are considered a relatively green mode of transport. Compared to lorries, they produce fewer emissions. But road transport is modernising fast and vessels have to keep up to remain competitive. 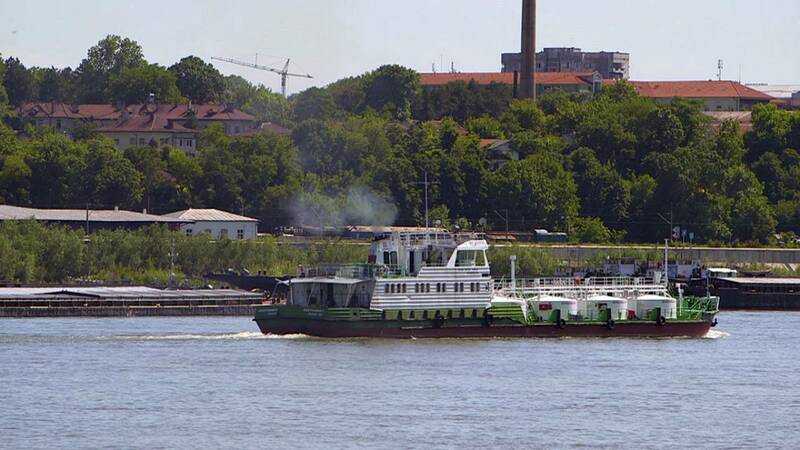 Here in Romania, a river navigation company that runs almost 500 vessels along the Danube every year is working with the European research project Prominent in an effort to make ships greener. Increasingly strict regulations reflect local pressure by riverside communities for better air quality and global efforts to fight climate change. Ship emissions can be treated similarly to diesel truck exhausts. But vessels are more diverse than vehicles, which makes fleet modernisation more complicated. Replacing the engines is out of the question: a ship engine is made to run for 40 years and more. A good way to decrease emissions is to filter the exhausts to remove greenhouse gases, unburned hydrocarbons and dust particles. “The goal is to standardise it, to use standard filters and standard catalysts,” says Multronic development engineer, Sebastiaan Creten. Another way to make ships greener – and cheaper to operate – is to simply burn less fuel. Researchers are using hydrographic sensors to find out how to make the vessels more energy efficient. “This instrument is composed of two sensors: one measures the vessel’s speed, the other measures the depth. This data is sent by cable and wifi to the bridge, where the information is digitalised and transmitted wirelessly to a centralised server located in Belgium,” explains Blagoci Sergiu, electronic engineer at Navrom. Altogether, information from ten vessels travelling along the Danube and two from the Rhine river is being collected as part of the experiment. Analysis of this data is expected to allow navigation companies to optimise the speed of their vessels on certain routes. It will also provide valuable knowledge on how riverbeds evolve. “The industry is definitely interested in this, since approximately 30% of their transport costs is related to fuel costs, so besides being environmentally friendly it’s also their economic benefit to choose the best track and speed which can result in fuel efficiency,” says Róbert Rafael, economist at Pro Danube Management GmbH. It’s hoped research like this will help make vessels cleaner and cheaper, and provide an attractive alternative to lorries, producing less traffic and pollution.